changed during finetuning to G-Minor hexatonic (without third). Shell broke during further finetuning and in the end became a Prototype without centernote. 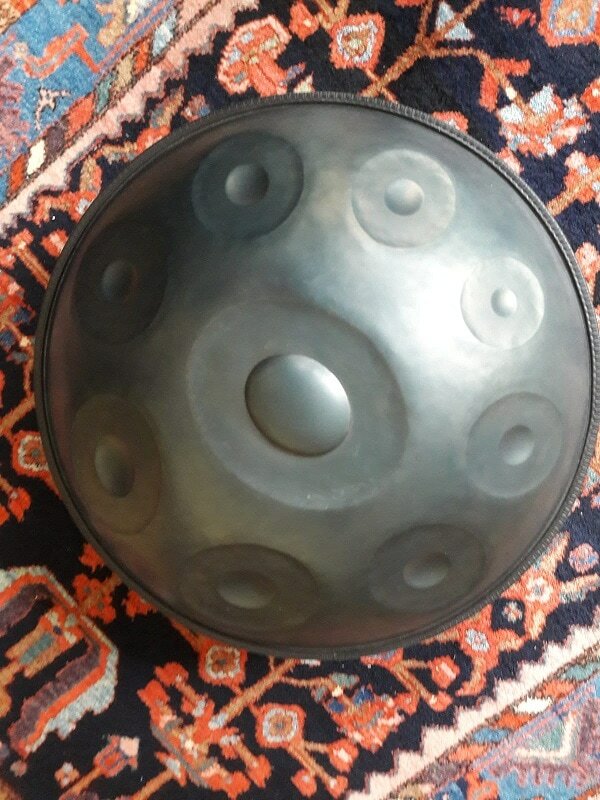 A PLV handpan series is recording one period of artistic creation. It is documenting a certain level of know how, tools and workflows and is defined by criteria. Each pan is well documented. Toolmaintenance during DIOTMA production was with indispensable help from PLV direct house neighbour Martin Grabner. 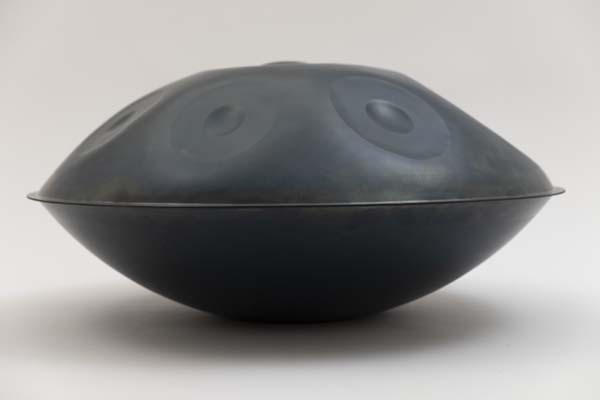 The sound of the notes was described by many as deep, rich, soft and surprisingly non-metallic. And certainly not boring. The momentum of the „attack“ of the finger (the impulse) is important. The overtones are clear, also playbale without damping, but not too much or too loud. Base was described as having a great „whooomps“ to it. Feedback also says sustain is beautyful and not too long. Usually there are no disturbing high activations or crosstalks. The notes are nicely seperated and balanced out most of the time. Some DIOTIMAs had beautyful low activations and inspire to new ways of playing. Of course non of them are „perfect“, but they where complete in a way and quite coherent within theirselves. 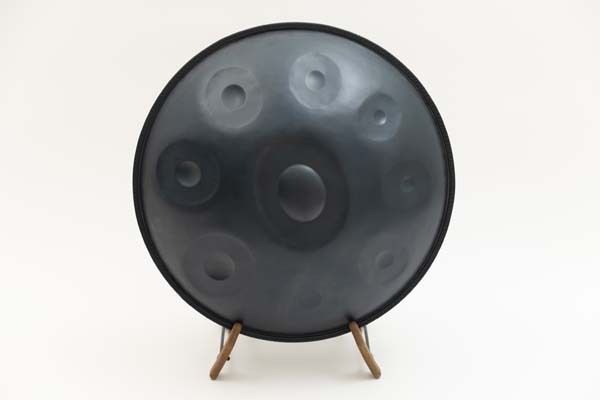 A DIOTIMA can be played very silent and tenderly or also very loud and powerful. Some Centernotes have got surprisingly nice shouldernotes. The membrane is stable and looks worked on, but not too heavy. The borders seem a little rough and handmade and yes they are, with a technique we developed here at PLV. There are little interessting things to explore also for pro players and beginners. Maybe a bit of perfection is sacrificed for a plus of beauty. Each Layout for was done individually. The layout is designed in compromise with the pronlongued octave-nodallines of each tonefield and being user-friendly. If possible all the octave-nodallines will point at the center. Like this it is easy for the player to find the fiths. This idea, like a lot others more, developed from Shellopan Know How, where i was building my first prototype. Inspired by other makers, like esp. Soulshine and Deepan new ideas came into the method and in the end i had to make a lot of desicions and from beginning on it was clear anyway : like any other tuner of steel, i had to develop my own way and search also for my own soundmodel or lets call it a mode of vibration. A 120kg heavy Tuningstation and a set of Hammers is used at PLV, each indivdualized for certains hits or blows, for shaping and tuning, with different weight, grip and material, etc. 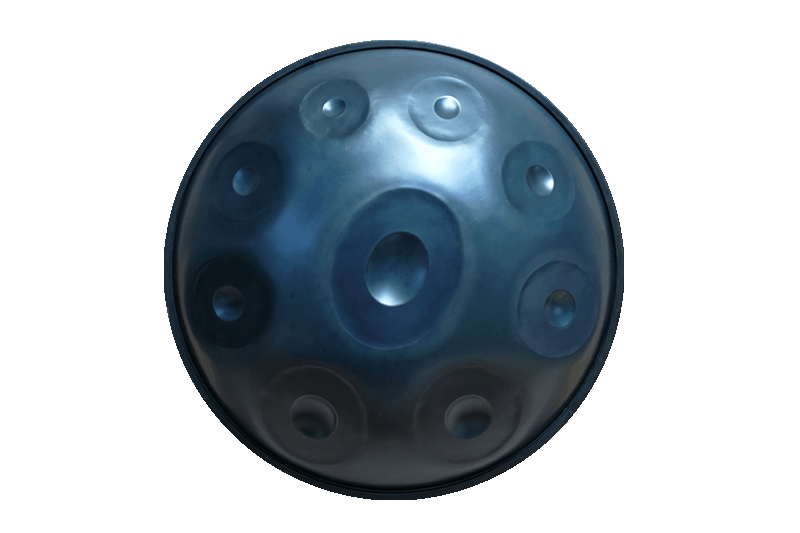 Tonefields are pressed by airpressure and molds in certain ratios and therfor got defined elliptical shapes and clearly visible borders. 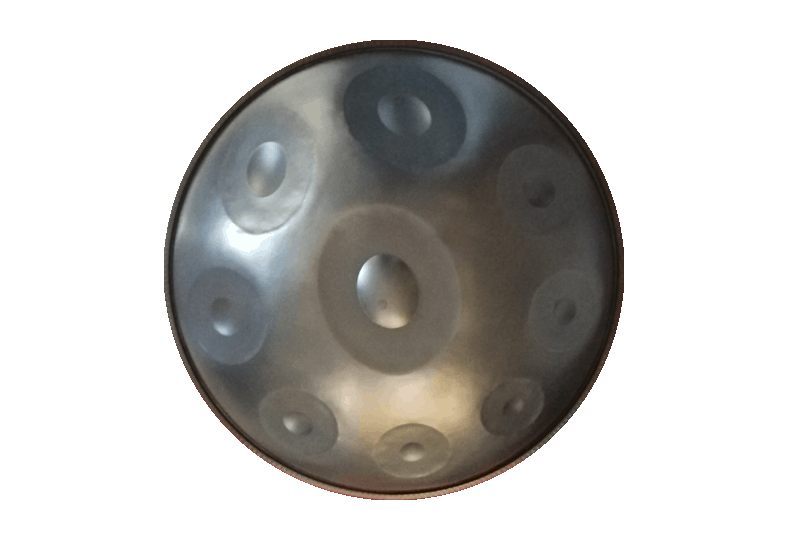 They are worked out by hand as one can guess by the shape (this process is called „grooving“ in the steelpan-world). With the exception of one 432, all the others are tuned in 440hz standard. The question of steel is important. 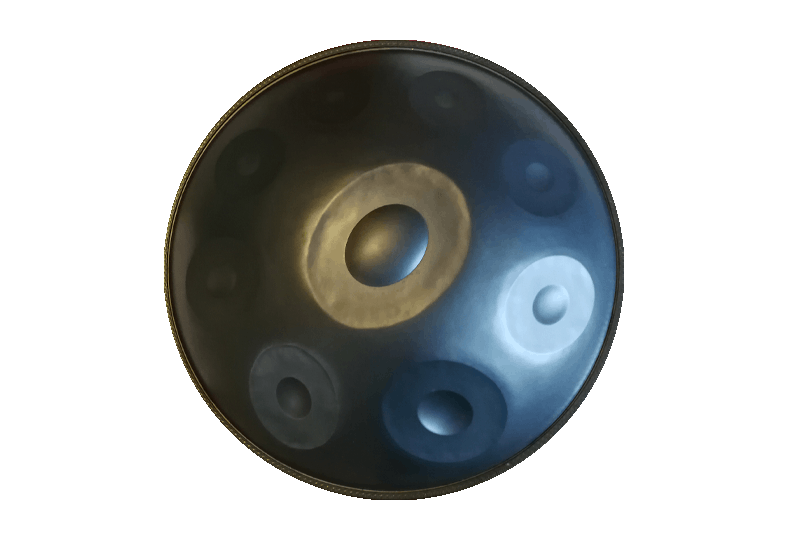 Other handpan makers customize their own steel, which i didnt (- yet, its on the list). 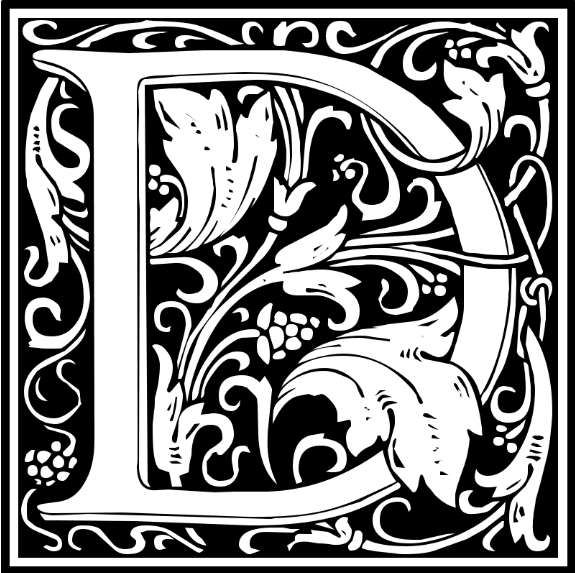 DIOTIMA is made of nitrided steel from a well known seller in the scene. The steel has been tested and is confirmed to not hurt PANArts licence. 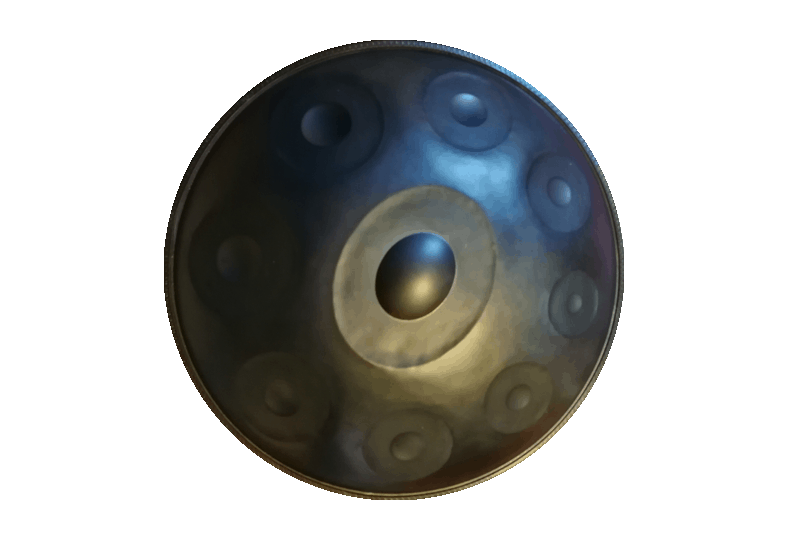 „Ding“ or „Dong“ ? 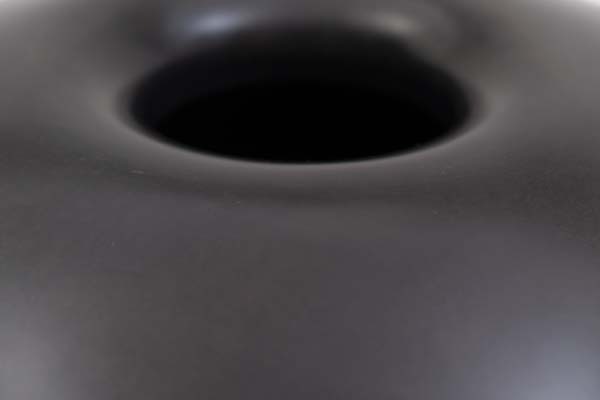 Both the dome and also the impex option has been made for the center note for DIOTIMA series. Shades of bright to dark blue, grey, black. Depends on light source. A examination of the condition of your instrument and respectivley Retuning-service at PLV is possible with little lead time and is also for me as a tuner interesting and insightful. So far all sold instruments seem stable and buyers seem happy. Still we do not offer free Retune service at PLV. As guideline for retuning the price will be €50-250,-, depending on the damage and if there was an accident. A visit after one year is recommended for checking. 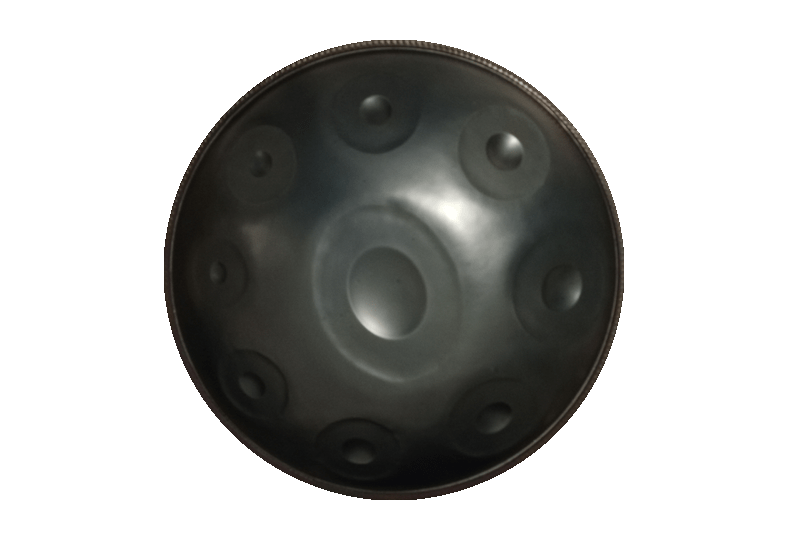 Retuning and repairservice for other Handpans is offered on specific dates, announced on this website. With aproppriate Care (cleaning with microfiber-cloth) and avoidance of accidents (falls) we assume, that the steel will not only be stable but also remain rust-free for many years or rather decades). Please consider that PLV has only two years of experience so far. 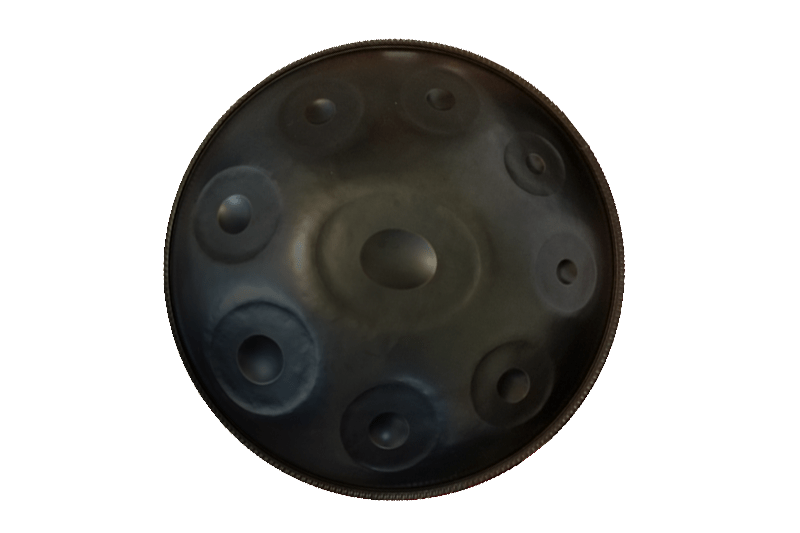 Steel for DIOTIMA is nitrated and imported by an international well known expert for handpans, with some years more of experience. 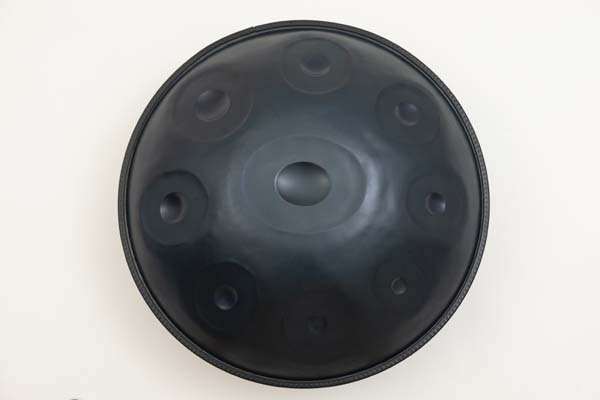 Despite every step of the handicraft is done with great dilligence at PLV: Buyers will be asked when accepting the invoice to confirm with their payment, that PLV cannot warrant for the steadyness and durability of the tuned notes of the soundsculptures. Professionally we have to admit that a decade of experience is missing at PLV- an experience which can never be faked and steeltuning obviously is a lifelong learning process. Also instruments tend to go to big journeys and are experiencing possible extrem weather conditions. Luckily enough so far DIOTIMA has only very positive feedback though. 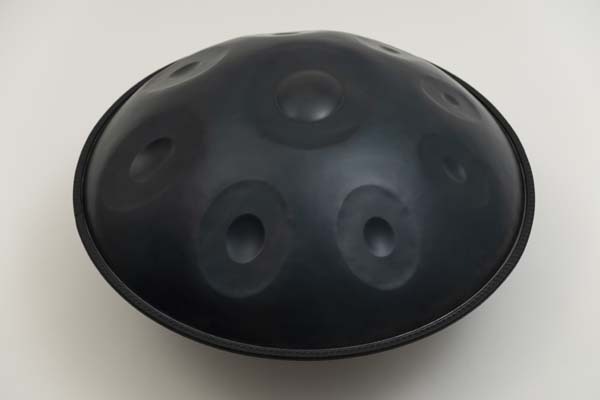 PLV does not grant a 14days right to return the instrument, since this it is not legally necessary by any law in Austria (for in-shop- purchases. For online purchases actually the legal conditions are :14 days). Nevertheless PLV endeavors this if possible. Also PLV tries to provide renting or also a rent-buy option. 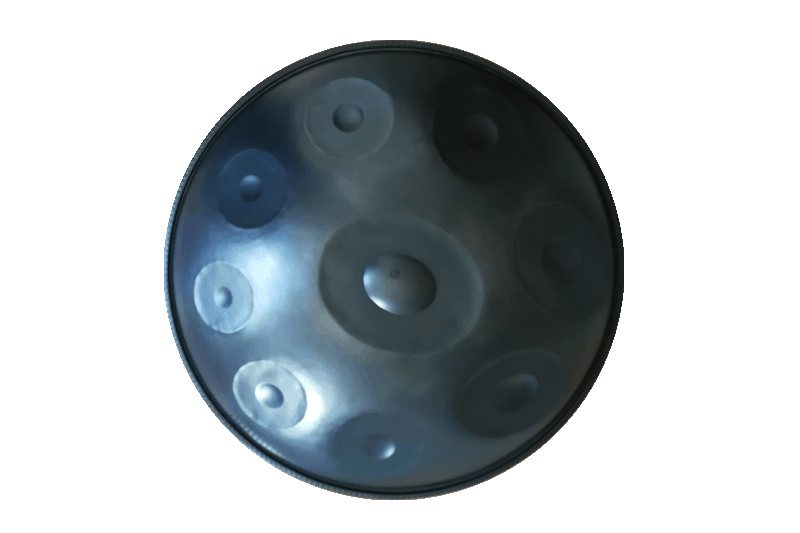 Clean pan with microfibre-cloth, ideally after each playing session- to remove sweat or fat-fingerprints. 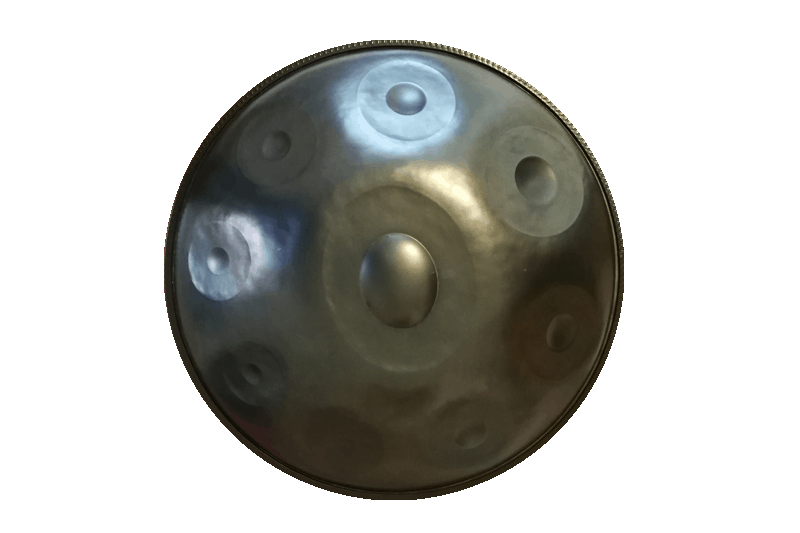 About once a month clean the surface with coconut-oil or polish with „Phoenix“ Handpan Oil- to avoid rust on longterm. 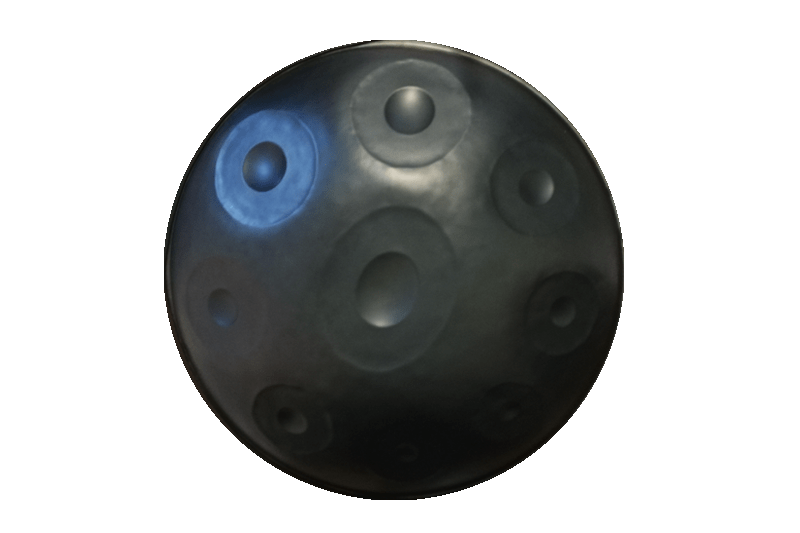 Sensibilize your visitors and remember that not everyone can handle such a big heavy metall bowl automatically. Be attentive for robbery. Dont leave it standing alone somewhere and don’t leave your pan in the car visible. 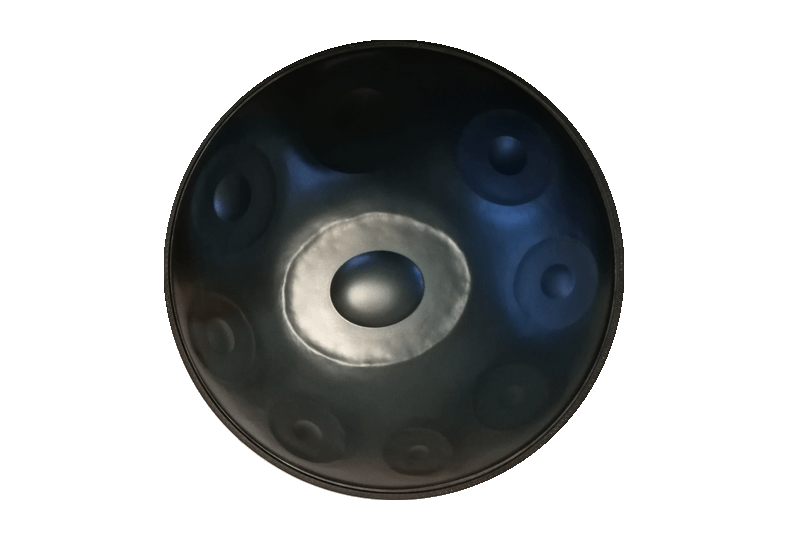 Like any other instrument also the handpan doesn_t want to spend time in direct sun. 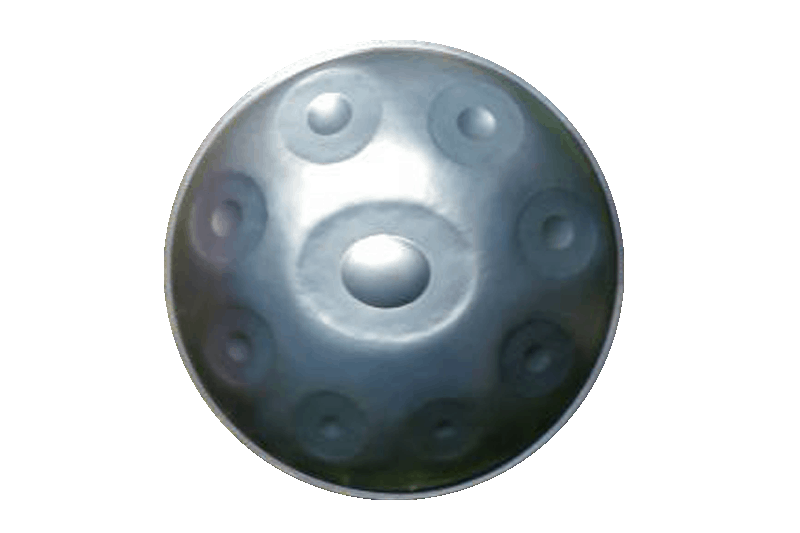 If the pans is getting hot, please put into shade and let cool down, dont play when hot. Rule of thumbs: Never play a hot note if there is no tuner arround. Notes can go up to a semitone in direct sun or down a semitone e.g. at temperatures of -10 over night in the car. There is a memory of steel, chances are, that the notes stabilize themselves (if not played during this extrem situtaion). iotima is a character occurring in Plato’s dialogues, speaking with Socrates about LOVE, immortality and many other philosophical questions. It is a very important discussion, not only because it is the only one where Socrates is the one ASKING the questions, not answering them, as he usually does in other famous Plato’s dialogues. Also not only because Diotima is the only FEMALE speaker, but she also emerges as a teacher of Socrates in this case. She is furthermore delivering the basic concept which is used for Plato’s most famous THEORY OF FORMS. 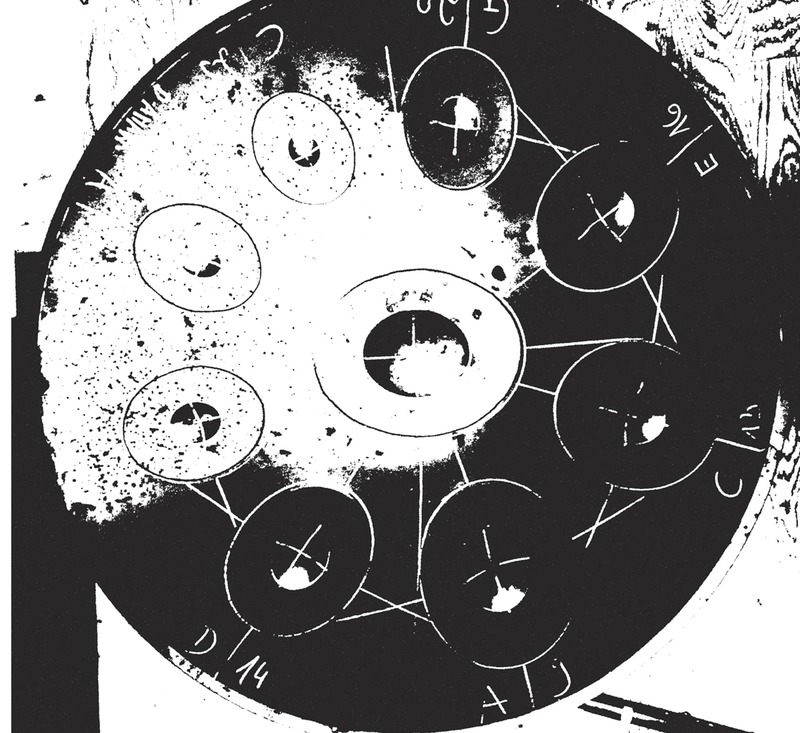 Diotima is presenting a multidimensional view on things and at no point is flat, one-sided or unbalanced. Yet she has a lot to say about many things. For example, on HANDICRAFT (which she compares to POETRY). Every admirer of the steel-tuning art will understand the allusion right away. 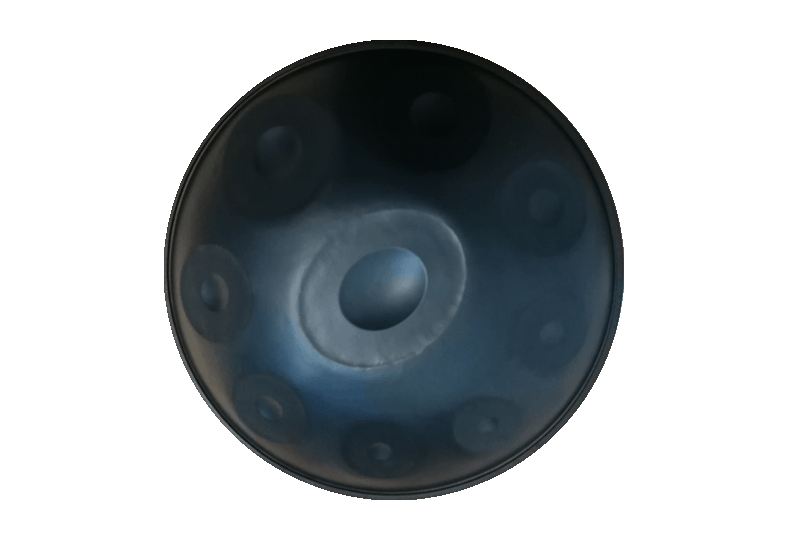 There are endless reasons why this name is fitting for a Pan. Especially for the one made by a woman (which is quite rare in the steel world). A really nice one, preferably. The pan, I mean. 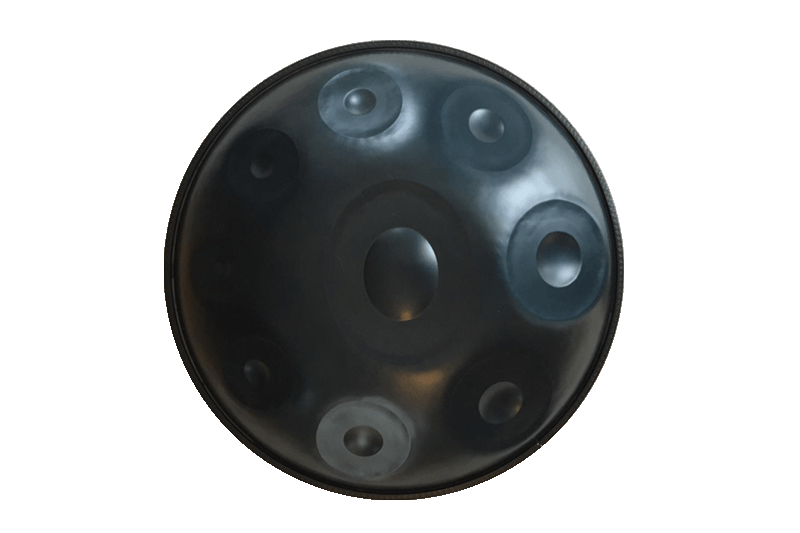 DIOTMA was produced all over the year 2018 with a total of 16 instruments. 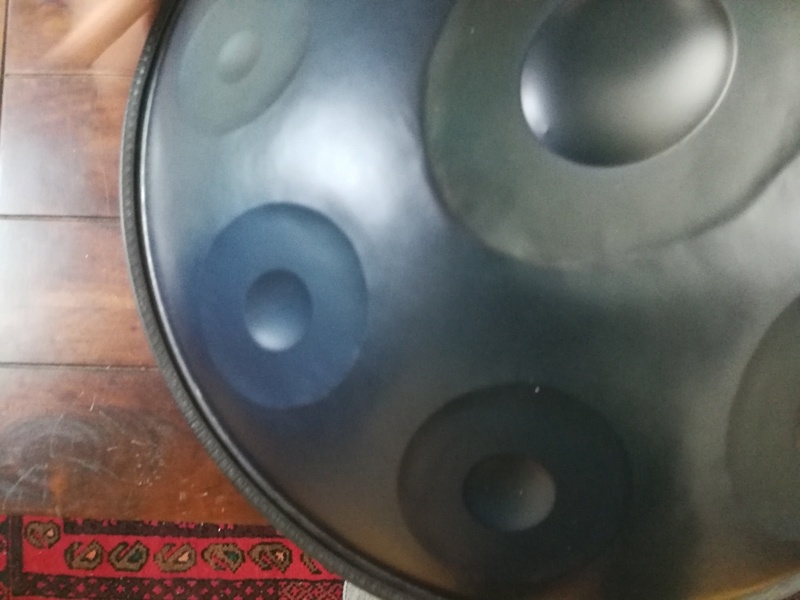 Starting with january 2019 i am working on the new handpan series, closing DIOTIMA series with the last instrument (the new series „Bingen“ will differ in criteria and also workflows). 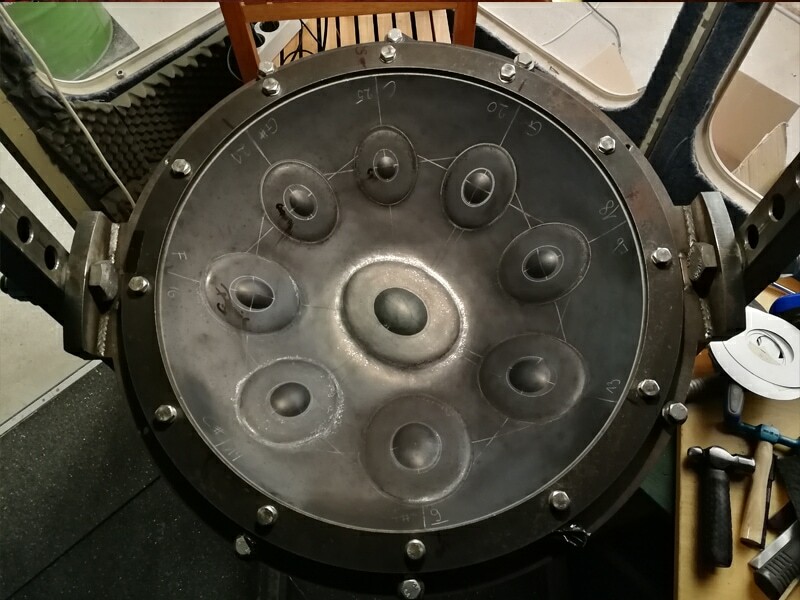 After my Prototype– phase, i kept the habit of giving each shell a spontaneous unique working-name, which i keep till the instrument is really stable and finished and fits the DIOTIMA criteria (otherwise the pan is entitled as a „Prototype“). The Number zero was named „Diotima“, the last one will now be named „Socrates“ – to mark and officially close this (hammer-) „dialogue“. Instruments will be listed for archive and portoflio reasons, including these working-names, and in order of appearance. For some of the pans, photos, audio and also video can be found here. Each instrument also has a power word or intention to it, but only the owner will know, should the person be interested in knowing. 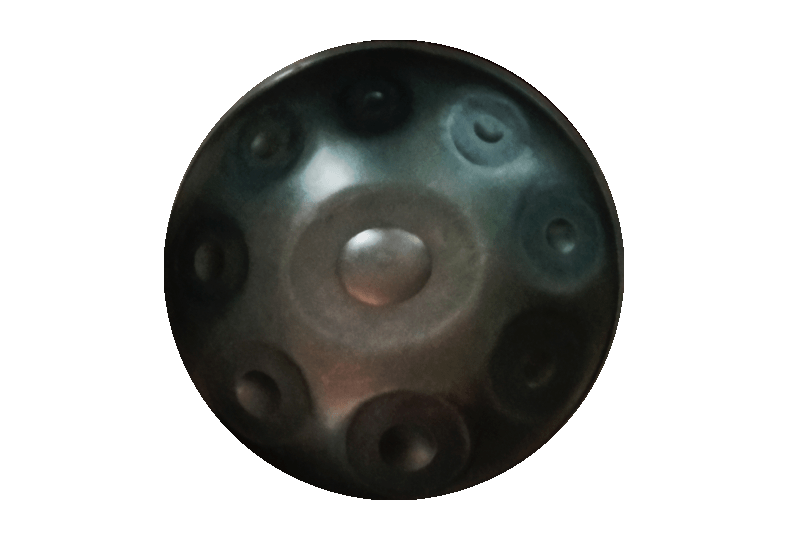 Nearly all of the DIOTIMAs have been sold a long time ago to players ranging from skilled professionals to novices, who all seem to be quite happy with their instruments. DIOTIMA has by far exceeded everyone’s expectations – which is true for the prototypes as well. I’d like to sincerely thank everyone who supported me in following my crazy ideas. 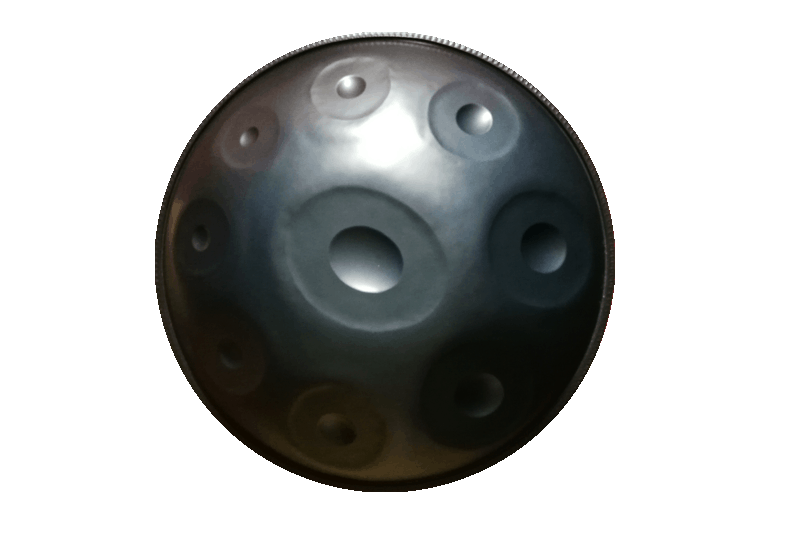 Curiously, i probably never will be for 100% sure, why these instruments let me make them. But they do. 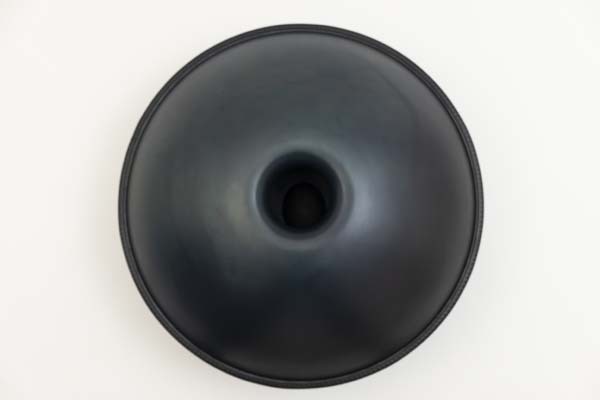 I dedicate this series with great respect to Diotima (may she be real or invented by Plato) and my Grandmother Julia Nitsch (who was using the name „Diotma“ as her alias -and therfor i also learned about this name).